Gudetama, the lazy egg character, is now at Changi Airport for the June holidays. Free from gender-specific, Gudetama also reminds me of a couch potato who leads a sedentary lifestyle. Both are super lazy. That is exactly the trait in them. 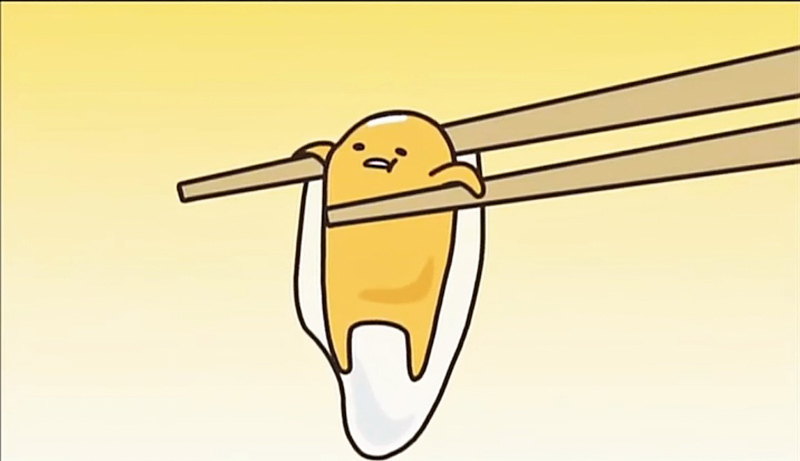 Gudetama spends most of the time comfortably with its egg whites, shells, at times, with a bacon as blanket. Sleeping is Gudetama’s most passionate hobby. To illustrate the distinct difference of this yellow egg yolk, Gudetama is in stark contrast to Pikachu of Pokemon. Pokemon was in Singapore Changi Airport just 6 months ago. And, the latter is a hyper-active fictional creature and very likable to children who love animated heroes. Gudetama having similar yellow in color with Pikachu doesn’t mean there are of same characters. No doubt, there are equally adorable. Gudetama is one of the over 400 characters created by the Japanese company, Sanrio Co., Ltd.
Hello Kitty, My Melody, Cinnamoroll, Pompompurin and the Little Twin Stars are at Terminal 3. Presenting Nordic Adventures with Sanrio characters.